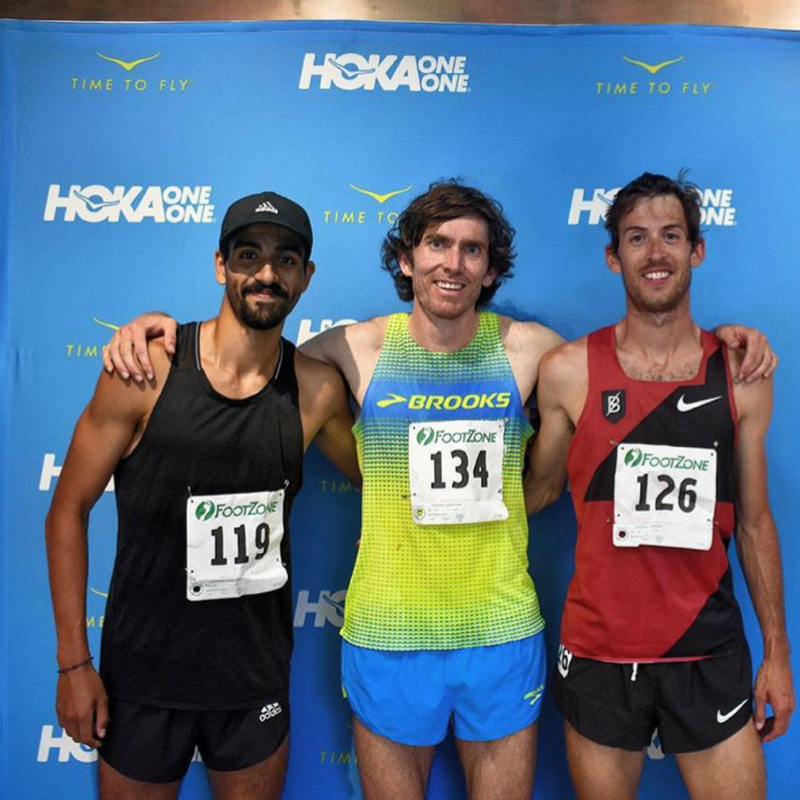 Daniel Herrera (left) with on the podium at the Bend Road Mile in 2017. Sets of 500m-400m-300m-200m-100m is a classic breakdown session that dates back to Bowerman and his Men of Oregon. It is almost a right of passage for any miler based in America. This is one of the workouts that starts out fast and gets faster. The goal here is to increase an athlete's anaerobic tolerance to running speeds of 1500m race pace and better. My experience has proven that milers need a steady and hefty dose of this type of work to be competitive in the final 90 seconds of their event. I think these types of breakdowns play an important role in enhancing that ability. Bowerman was on to something. I used to be of the massive-amount-of-aerobic-work-conquers-all mindset, even for milers, but I quickly learned this doesn't translate well to racing four laps effectively. Before I started to employ more tolerance work at critical speeds, the milers I'd coach would lack zest in the final 500m of the race. Now, they tend to be better equipped to be in the mix after the bell sounds. The best coaching cue I've found which translates is, "get out fast the first 1/2 of each rep and stay fast." Sometimes there is a belief that one can cutdown a rep in a breakdown. No, that is an error. The point of this workout is to teach the skill of fast. Fast is best learned and expressed from the first step and forward each rep. This is a philosophy I learned from sprint coaches, "You run your fastest when you are freshest." They're right. A faster first 1/2 of a rep makes for a faster rep overall because (most likely) the 2nd half of the rep will be relatively faster as well. It is a virtuous cycle. Such is a different perspective for us distance coaches, but I try to keep a radically open mind and go with what works as I hope you will, dear reader. This type of session is one which works. The athlete learns how to tolerate quickening speeds, stay focused, and create separation early — all important traits needed to become a successful miler who their competitors view as a threat on race day.